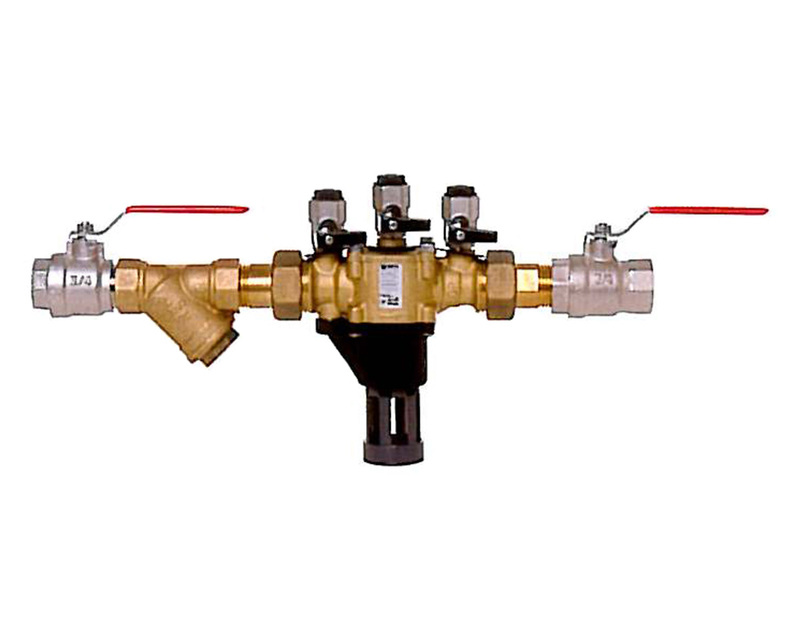 RPZ (Reduced Pressure Zone) valves are generally used for back flow prevention to protect the water supply from being contaminated. Back flow from fittings or appliances resulting in unwholesome water passing into drinking water supplies can constitute a serious public health hazard. Comprising two in-line, independent check valves, captured springs and replaceable check seats with an intermediate relief valve in a bronze body, supplied with Y type strainer and two isolating ball valves, with screwed BSP female end connections. All proposed installations of RPZ valves must be notified in advance to the local Water Supplier. Our engineers are accredited testers approved by the water authority to commissioning and testing of RPZ Valves.